Standing on a small mountain in Zymne village, not far from Lutsk, the Zymne Svyatogorsk Monastery is one of the Ukraine’s oldest monasteries. 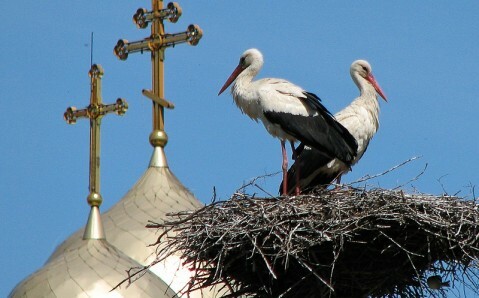 According to legend, it was founded by the Prince Vladimir the Great, under whose reign the Rus was baptized. It was on the Svyata Hora (Holly Mountain) that he founded his winter residence, in 1001. He ordered to build two wooden churches and a tower palace there. The residence gave the name to the village – Zymne (wintry) – and therefore to the monastery. It is not surprising that the Prince Vladimir has chosen these lands more than a thousand years ago: the surroundings are incredibly beautiful there. The mountain, where the monastic complex’s main temple stands, reveals breathtaking views of the meadows and the Luh River. Soon after its foundation, the prince invited monks who hid in the caves under the Holly Mountain to the monastery. 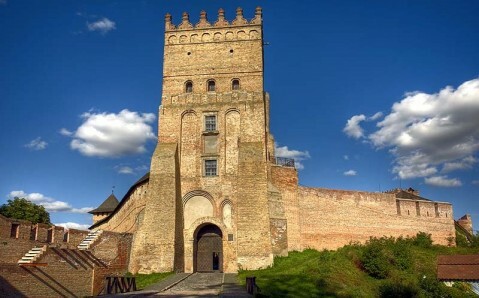 The Zymne Monastery had defensive structure: having advantageous location, it was surrounded with powerful walls with fierce towers. The cloister was repeatedly destroyed and rebuilt, and turned from Orthodox into Catholic one over its long history. In the late 19th century, the Zymne Monastery became a nunnery. In the Soviet times, it was closed and the historic place turned into ruins. The reconstruction began only in 1991. The monastic complex consists of the very beautiful Assumption Cathedral, built in the 16th century and considered the cloister’s main temple, parts of defensive walls with four corner towers and five gates, refectory with a church, and household buildings. 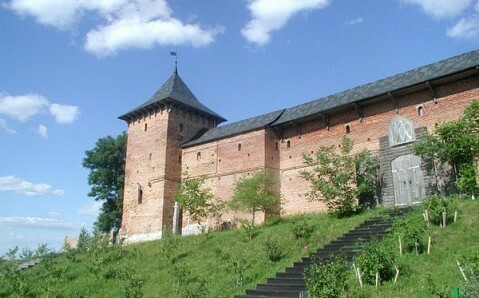 There is also a tower, where, according to legend, the Prince Vladimir lived. A small Trinity Church and an entrance to the age-old caves with an underground temple are situated not far from the main ensemble. The Zymne caves resemble underground labyrinths of the Kyiv Pechersk Lavra. It is said that there used to be a whole network of caves, an underground passage lead to each bell tower and their ‘branches’ stretched in Kyiv direction. The Zymne Svyatogorsk Monastery is notable not only for its age-old history and original architecture, but also for the ancient wonder-making icon of Our Lady, which is kept there. According to legend, the Greek princess Anna, future wife of the Prince Vladimir the Great, brought it there, in 988. It was this painted on the cypress board icon, with which the marriage of Vladimir and Anna was blessed. Later, the prince gave the relic to the Zymne monastery. It is believed that the icon can work miracles – cure various ailments and help in solving everyday problems. There are many legends about Zymne icon’s unusual abilities. One of them tells that in 1724, Zymne village was bought by an ardent Catholic, Volyn headman Mikhail Chatsky, who ordered to turn the main monastic temple into a Catholic church and to rebuild it from the five-dome into two-dome church. He appropriated all church riches, ravaged the burial vault and took valuable setting and all decorations from the icon. In doing so he mocked at the icon: “Well, the Orthodox miraculous sanctuary, you could not save your monastery after all!” And then he lost his sight. 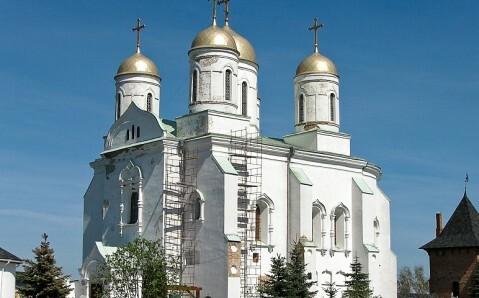 It is believed that it was the Zymne icon that saved the Assumption Cathedral during the World War II. The shells that hit it got stuck in the wall and did not explode. By the way, it was decided to leave the shells in the wall, so that no one would have any doubt about the miracle. Getting there. 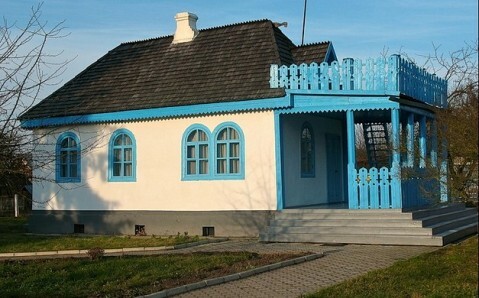 The best way to reach Zymne village is to take a bus from Lutsk (it departs every half an hour). It is also possible to take a route taxi from Vladimir-Volynsky.